Product prices and availability are accurate as of 2019-04-23 02:04:37 UTC and are subject to change. Any price and availability information displayed on http://www.amazon.com/ at the time of purchase will apply to the purchase of this product. Renowned collie breeder Madselin Rivard is dead, leaving thirteen dogs neglected and vulnerable in their kennel. Jennet and her friends battle a hostile caregiver to rescue five of them, but eight remain unaccounted for. 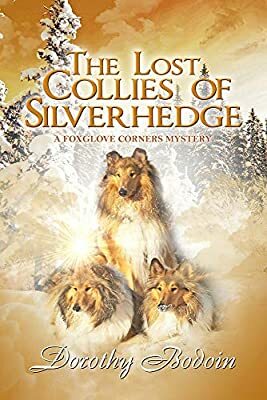 While searching for the missing collies, Jennet attempts to solve the mystery of the ghostly collie, Macduff, whose search for the family that abandoned him leads him to Jennet’s side door. Dorothy Bodoin lives in Royal Oak, Michigan. A graduate of Oakland University with Bachelor’s and Master’s degrees in English literature, Dorothy worked as a secretary for Chrysler Missile Corporation in Italy for two years. For several more years she taught English in a Michigan high school. She is the author of the Foxglove Corners Cozy Mystery series, six novels of romantic suspense, and one Gothic romance. Having lost her beloved collie companion, Kinder, in December, she currently hopes to add a rescue collie to her household.